One of the comments that I receive often from parents is “I cannot believe how unorganized and messy my kids bedrooms are!” I ask the parents have you talked to them about organizing and teach your kids on how to keep their bedrooms organized? Or show them how to keep track of all of their school activities? And most of the time the answers to my question is no. Here are some organizing advice and tips on how to help your kids with organization when it comes to their things. Most adults have different ways to keep track of their schedule and we all use different types of calendars. I may be old school but I prefer to use paper planners because I work best with that format and many people prefer electronic systems. 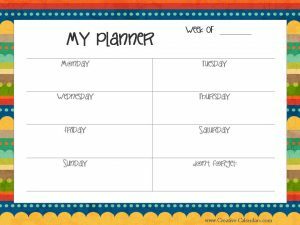 One tip is to try to show your kids some of the different types of planners out there that keep track of activities and see which one may help them. You can visit the websites of the Container Store at www.containerstore.com and OfficeMax at www.officedepot.com to give them some ideas. 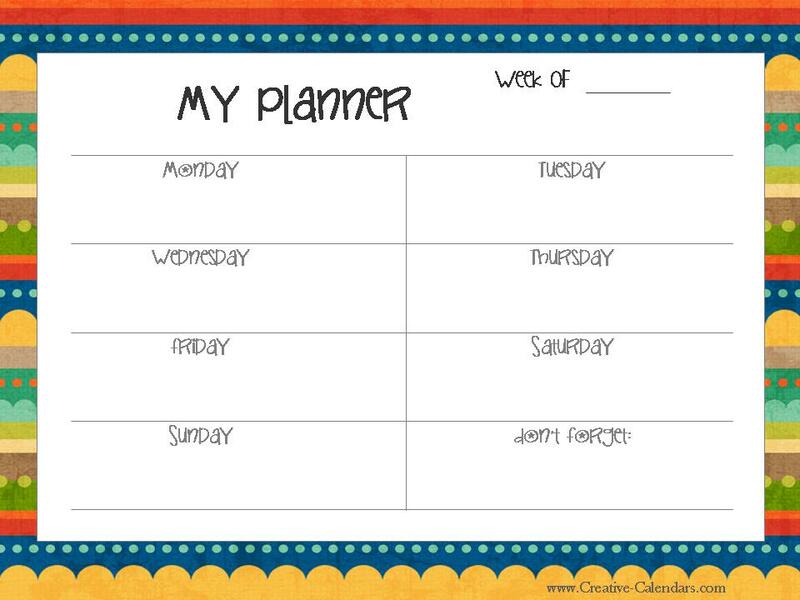 Would it help them if the planner was a week at a glance or a daily format? Is there a lot of room to write things down on or just a small space to write for example “soccer practice?” And would they like a planner to be kept at home or have an app on their cellular phones? Also show them the benefits of having a planner so they can stay organized and learn how to plan their schedule so they don’t plan 2 things at once. Of course this all depends on the age of the child and there are some very unique and simple planners out there for younger aged kids up to kids in high school. This is also a very important lesson to learn when they go to college and they are on their own to keep their schedule in order. The next tip on teaching your kids to be organized is to show them how to keep the things that they love in order and in a safe place. When I work with kids on organization in their bedrooms most of the things in their room they do not have an attachment to but I always find out quickly what is important to them. It may be jewelry or a certain book series or their clothes. We go through their rooms and do a big purge of items and then get to what is important to them and find the best place to keep them and/or organize the items. This is when they are excited about the project and I have their full attention! So we really focus on those things and get them sorted and organized and they are so happy once it is done and I show them how to maintain that space so it stays that way. As parents you know once you tune into what is an interest or important to your kids they are fully engaged and will listen to all you have to say! Teaching your child the importance of organization is a great tool and life skill to have as they grow up. Also being organized will become a great asset to them in school and in their daily lives! If you need additional information or help with organization for your kids please contact me and I would be happy to help. When people think about organizing or starting an organizing project they are afraid they will make mistakes or they are not sure how to start the project. I think the word mistake can be harsh at times so I am here to help you change the idea of making an organizing mistake and turn them into organizing accomplishments! One mistake people make is they are not thinking through the project before they start. To change your thought process you need to think about what is not working in that space and how to create a functional organizing space. For example, the mud room and why is it a complete disaster at times. Do you still have all of your winter items in the mud room when it is the middle of July? If you are working in the mud room every season you have to go through that area and purge, sort and organize the clothes so the items in the area are only what is needed at that time of the year. In the end the accomplishment would be to have only the current weather items in the mud room so you can easily maintain the space. 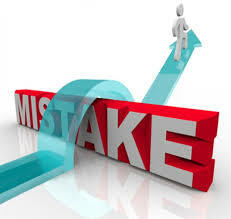 The second mistake is when people purchase organizing products before they know what they need to complete the project. I am asked this question a lot from clients before we start a project if they should purchase bins or folders before our appointment. I always tell them no since we do not know what specifically we need to complete the project or how many bins or the correct size of the containers. 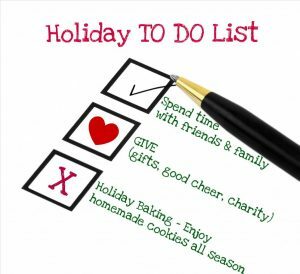 For instance, if we are working in the basement and organizing holiday decorations we first need to purge and sort the items so we know how many items we have left so we know exactly what to store them in and the size of the bins. Also when we go through the purging process we tend to have additional bins to use for the organizing process and may not need to purchase new bins. The accomplishment would be that we save you money on purchasing unnecessary items and to figure out the best use of things you currently own. After you complete your organizing project and your space is organized you may have a large pile of clothes, household items and kitchen supplies you no longer need and you must have a plan on where to donate those items. The mistake would be that you do not have a place to donate the items ahead of time and they stay in your house and you might be tempted to remove them from the donated pile. A good source to donate items to is a Goodwill facility or a consignment store. The best way to complete your organizing project is to take action on getting rid of your donated items within a reasonable time table. Also I tell my clients to put the donated items in the car so when you pass a donation facility you can drop them off right away. You will feel a sense of accomplishment with passing on your unwanted items to other people who would be happy to have them. Your accomplishment would be you are helping others in need and you have items in your home that you truly love!